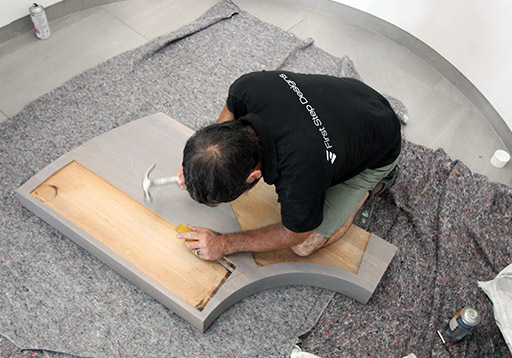 Every staircases we produce is handcrafted and assembled in the UK using only the finest materials and finishes. To ensure each component is perfect, we automate as much as possible. CNC machines are used for all timber in the initial stages of production, but every component still requires an element of finishing by hand. Our factory staff check over every single piece, identifying any splinters, splits and chips, then finish by hand where needed for a super smooth finish. 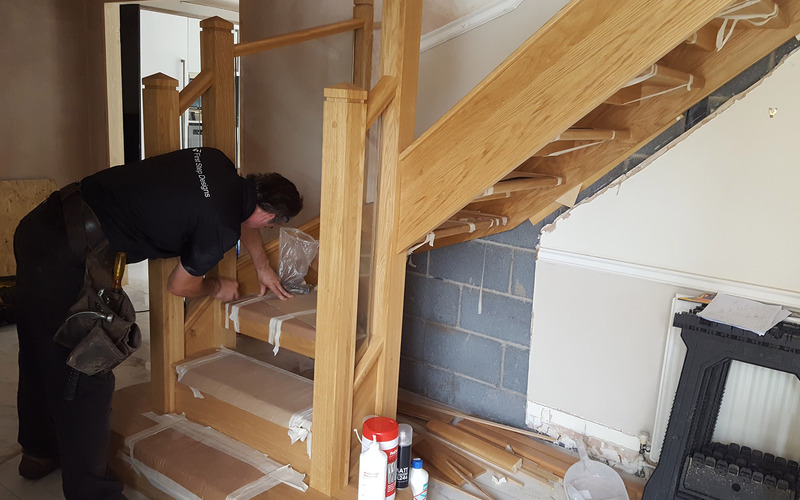 Depending on the design, parts of the staircase will start to be assembled by hand at this stage before being delivered to site. The next stage in the process for timber components involves our French polishing team, which is managed by experts Neil and Ian. Each component is sanded and cleaned up to perfection before final finishing and quality checking. The timber is finished with four coats of two-pac lacquer, which consists of lacquer and adhesive composite finish, giving it a much more durable, high quality finish. Metal products take a different process with our fabrication team. They spend a considerable amount of time constructing the staircase, making sure to hide almost all welds by hand in every design they create. 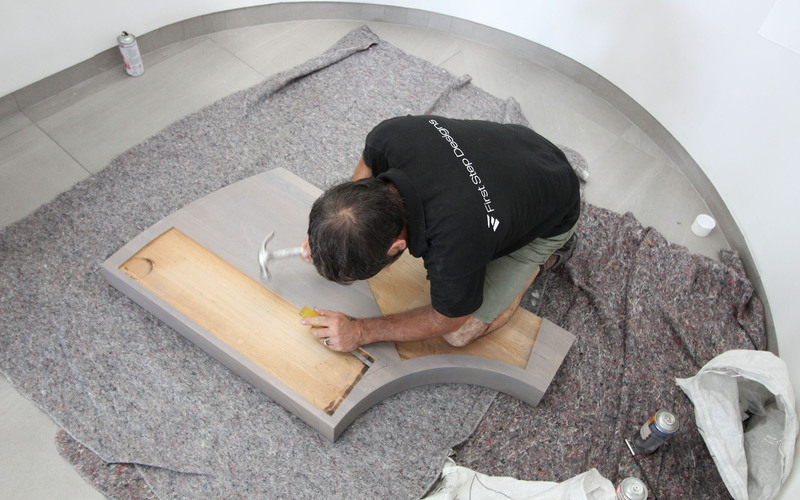 Once complete and quality checked by the designer, final finishing can take place. The complete fabrication is sanded and cleaned up to the best condition by hand. Each component is then shot blasted and salt spray tested for 10,000 hours. This cleans all dirt and scale from the staircase, ensuring it will not weather over time. For the final finish, all metal components receive two coats of powder coat paint and before being oven heated. 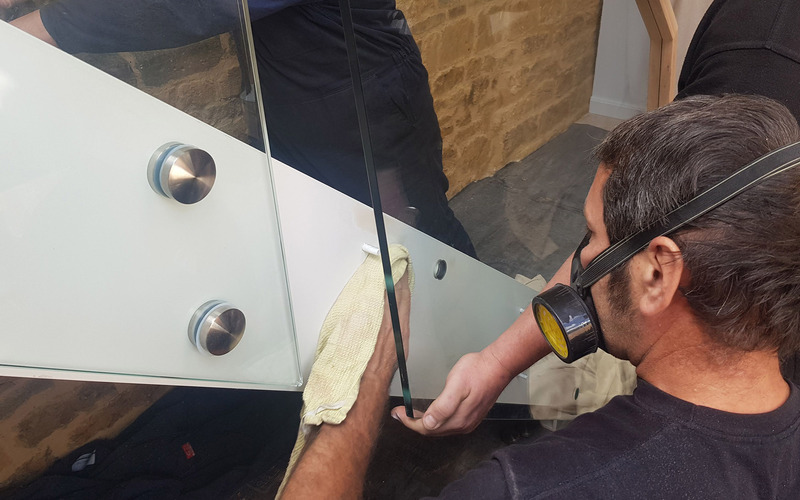 As some designs need a final finish on site, we ensure all our installation teams are all trained by our experts in the art of French polishing. 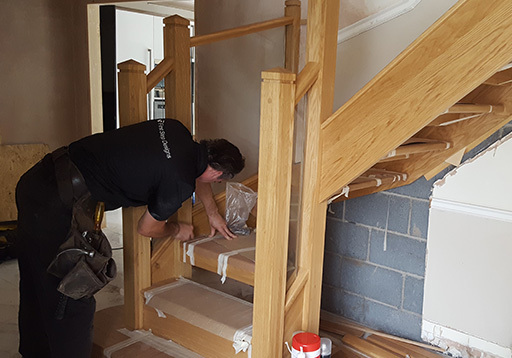 They can achieve a factory finish every time, even when fitting and finishing the staircases on site. 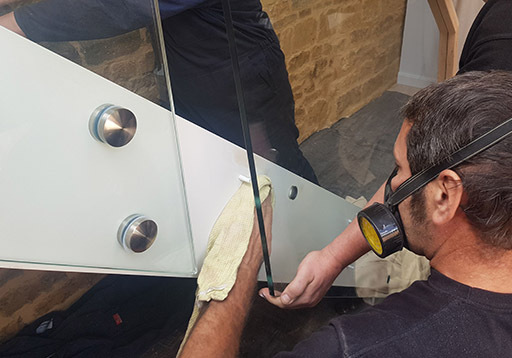 Having this level of expertise on site also means that any blemish can be taken care of without hesitation.